Now an important part of the School of Continuing Studies, the English Language Institute’s mission is to provide high quality programs for those who wish to improve their English for academic and professional purposes. 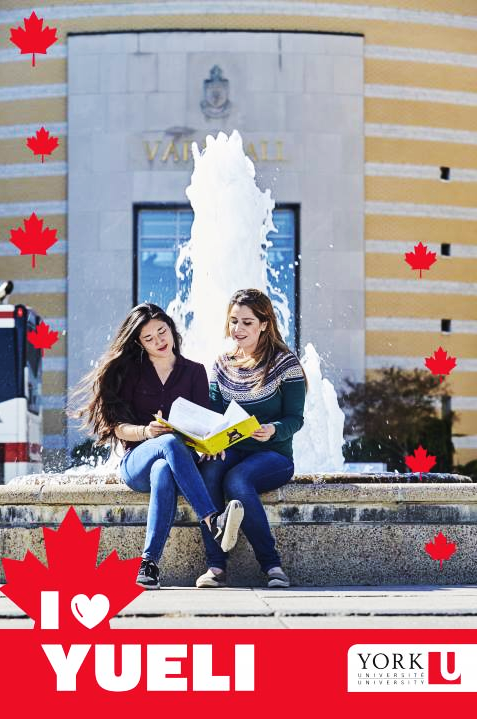 The York University English Language Institute provides high quality English language instruction, serving over 2,000 students from more than 50 different countries every year. Our personal service, dedicated and well-qualified instructors, and classroom diversity are just some of the reasons why so many choose to study with us. Experience life in the vibrant, multi-cultural city of Toronto while you study. The third largest university in Canada, York University is alive with the vibrancy of Canada’s largest and most exciting city. We pride ourselves in being an open and inclusive community that thrives on student participation. Keele campus is a self-contained campus with over 90 buildings, including 40+ restaurants and pubs for any occasion. Public transit comes directly onto campus, providing you with easy access to downtown and the attractions of the Toronto area. All English Language Institute students have access to the full range of York University campus services, including accommodation, libraries, computer facilities, sports and fitness facilities, and a health care centre. The English Language Institute’s own student resource centre, The Nexus, also has plenty of computers and an extensive library. With more than 440 student clubs and organizations, 13 newspapers, and 36 governing groups at York, you’ll always find interesting things to do and great people to do them with.